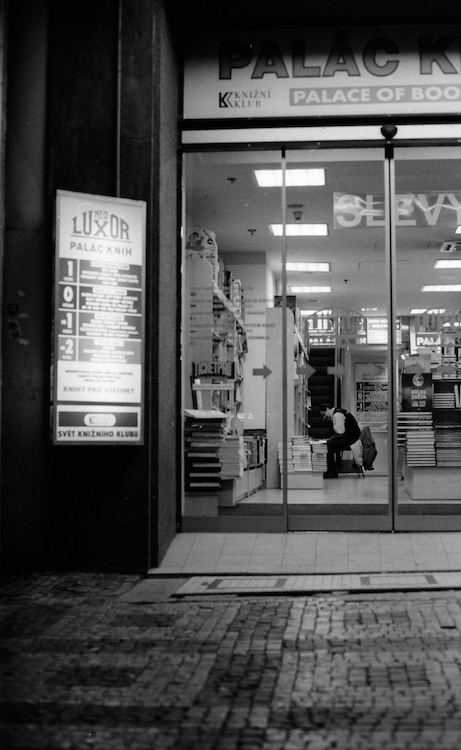 So you can see what a security do in a bookstore at night... read books :) This is Luxor at Wenceslas square. One of my favorite bookstores in Prague. They have a wide selection of photographic books (and other artistic books). PS: I must say the whole library system in Prague is superb. I'm using it with a great pleasure for 20 years now.